The costs of healthcare go beyond monthly premiums and co-pays. For many people, the out of pocket costs can be overwhelming. Many people are uninsured and many more are simply underinsured. Even those with insurance can still find themselves with medical bills they can’t afford to pay. When it comes to financial disaster . The effects can reach far beyond the wallet. 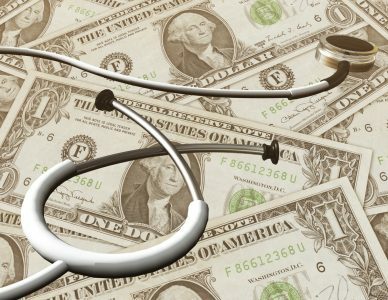 Medical bills pose a unique problem for anyone suffering with financial trouble. Most medical debt comes from chronic or serious illnesses. Treatment for these types of conditions can be tens of thousands of dollars. Sadly, many insurance companies work tirelessly to deny payment for these conditions. It is unfair, but often true. When treatment costs are ongoing or denied, it leaves the patient responsible for payment. All too often people cannot afford to pay these bills, leaving them at risk of harassment and credit damage. However, the good thing about medical debt is that it in an unsecured debt. That means that it is not tied to any asset or collateral. Therefore, medical providers have little legal recourse for collecting the debt other than reporting it to damage your credit. This gives you a unique advantage when dealing with unpaid medical bills. First, it is important to deal with your medical debt before it reaches the collections office. Contact your provider as soon as you get the bill and ask for a payment plan. They may try to convince you it needs to be paid off in three or six months, but the truth is you can set the payment to what you can afford. Second, set up an automatic payment to make your monthly payments on time. You will never miss a payment. Paying consistently keeps the medical debt from being reported to the credit bureaus. Last, consider a stronger option. If you don’t think you can afford a monthly payment contact a bankruptcy lawyer in Houston. They can review your debt situation and discuss your options. In some cases, you could be free of medical debt in a matter of months.